Hotel Me Reina Victoria, Madrid. Me Reina Victoria Hotel Madrid. 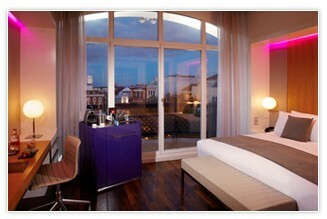 The Hotel ME Madrid Reina Victoria is found in the center of Madrid, in the heart of Plaza de Santa Ana. Being a reference point of Madrid, it is a perfect solution for romantic vacations. The best of facilities in one of the most privileged spots of the city, near Puerta del Sole and the Plaza Mayor. Various types of rooms, well furnished, make these accommodations perfect for your dream vacation. There is also a wonderful terrace with views over the capital city. Me Madrid is included in the Gold List of the best hotels in the World by Conde Nast Traveler 2013.